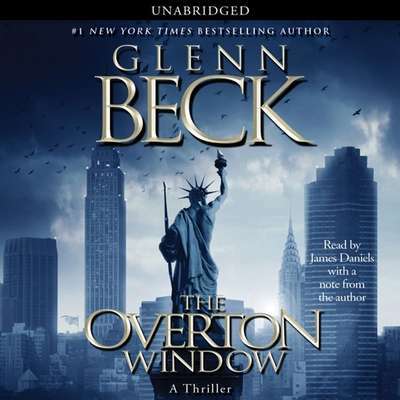 The Overton Window - Audiobook | Listen Instantly! From the New York Times #1 bestselling author of The Christmas Sweater, An Inconvenient Book, Common Sense, and Arguing with Idiots comes a heart-stopping new thriller about the consequences America will soon face if we continue to take our freedoms for granted. Meet Noah Gardner, a twenty-something public relations executive who seems to have all the makings of a killer eHarmony profile. He’s smart, handsome, well-educated and, like many in the younger generation, far more concerned about the future of his social life than the future of his country. But that all changes when Noah meets Molly Ross, a mailroom worker at his company who is consumed by the thought that the America we know is about to be lost forever. Noah doesn’t believe much in conspiracy theories, or care much about the day-to-day happenings in Washington, but as events begin to unfold exactly the way Molly predicted, Noah becomes increasingly suspicious. As the two ruling political parties do their best to keep Americans divided and distracted, a historic terrorist attack shakes the country to its core. As those around him panic, Noah realizes that a master plan to transform America is rapidly unfolding. Exposing that plan, and revealing the conspirators behind it, is the only way to save both the country and woman that he loves. Seamlessly weaving together American history, frightening facts about America’s present condition, and a fast-placed plot, Glenn Beck’s new thriller will educate, enlighten, and, most importantly, entertain his fans in a whole new way. Download and start listening now!
" Not a bad start in fiction, or "faction", writing. Well written until the end. But overall an entertaining story. " 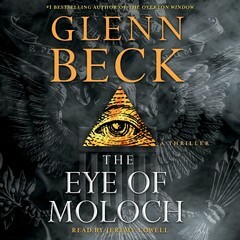 " I love Glenn Beck's non fiction books, but this fiction one left me a little at loose ends. I get what he is trying to say, and I actually learned a lot about what is going on in this country. The story just wasn't compelling. I wish it had been. It took me quite a while to get through it, which is very unusual for me. " " This is a very dry and blah book. I have high expectation and totally crushed. No more Glenn Beck book for me. " " I read this book almost in one sitting. I took it with me to read on the plane as we traveled cross-country for a vacation. When we landed in Florida, I ended up in an Orlando hospital ER all day long where I finished reading the book. Fortunately, it was an engaging, page-turning read. As so many books do for me, the ending fizzled, or maybe I was just tired of reading by then. " " Not a bad story, worth the read just for the references in the back "
" I felt "nudged" to read this book. Great read, even if it was predictable. " " Too close to reality to provide any escapism. " " This books considers what may be happening in the US and how people can avoid it. A young man is concerned mainly with his own personal situation and could care less about what is happening to the country, but then he meets a young woman who shows him just how precarious a situation our country is in. He begins to attend meetings, and suddenly realized how much America has already advanced to a police state. he is not sure that anything can be done, but after working with his friend's group, he begins to see just what can happen when you oppose the establishment. he discovers his father is part of the problem, and decides to go against him and the group he represents wg=ho are trying to turn America into a socialist nanny state. Interesting ideas and documentation provided of books Glenn used to advance his story. " " Interesting. I expected a little more out of it. " " This is a great book. Lots of twists and turns and TONS to think about. I am a fan of "faction", as Glenn Beck calls it. This is not your typical Glenn Beck book. I was not, however a fan of the ending...you'll have to read it if you want to know what I mean!! :0) "
" Really not much of a thriller... no twists or anything. It took FOREVER to get into it and only the last 100 pages were just ok for me. " " Couldn't get passed the first few chapters. It felt like I was listening to Glenn's radio show. " " Good - interesting ideas. Not the best written. Leads to a sequel. " 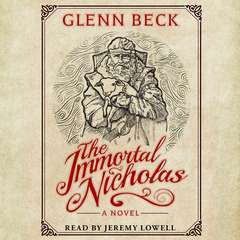 " Glenn Beck promoted this book on his radio show, and made it sound really interesting. I bought it with such high hopes. Though I finished it, it was really hard to get through. It wasn't as great as I expected it be. Really disappointed. " " This book makes you think about the direction our country is heading. The story was pretty enthralling as well, which pleasantly surprised me. The afterward was really great. " 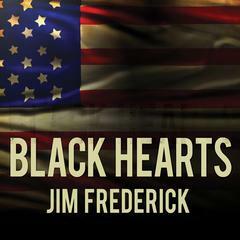 " One of the best fictional political thrillers I have ever read! " " Very realistic. Let's not be kidding ourselves about where we're heading. " " very entertaining and suspenseful -- I sure hope there's a sequel coming. . . "
" Too much swearing, but I did enjoy the characters and the story. 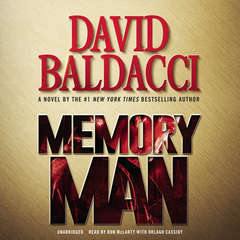 This isn't his best piece of fiction, He forgot the "thriller" in political thriller. There were no surprises, twists or turns. But the nonfiction points are great. :) "
" I have to admit, this book was a lot better than I was expecting; however, the end fizzled and that is never a good thing . . . "
" The book ends at the climax. No closure "
" The first couple chapters were good. Then it started sounding like a talk radio show (I can only listen to those for a few minutes at a time, usually). I liked it better AFTER that was over (after the meeting in the bar happened) "
" This is suppose to be a thriller. However, the suspense comes mainly from wondering when the thrills will begin. In addition, the literary value is zero. Only read this if you are a Glenn Beck fan or a member of the John Birch society. " " It's not the best writing, but I gave it 4 stars because I really like his exploration of some important concepts facing America today. " " I get that this is political fiction, but I really wish the characters would have been a bit more developed. Also, this book felt rushed, it should have been twice the length. " " Didn't like the ending. I felt like Glenn Beck just didn't know how to end it. " " Pretty good. Not the best writer ever, but had some interesting story lines. I now know what the overton window is anyway. " " His first novel I believe other then the children's one about the sweater. " " Was hoping for an Atlas Shrugged level analysis of the current political scene, and that is a bar too high to set for anyone. " " Love Glenn Beck, but, what a bore! " " What a crazy book. Defending the constitution by terorizing the terrorists. What a concept. I really liked it though and it was quite a page turner. " " Quite interesting presentation of our country's present situation and what could possibly happen. " " Beck really loses my interest as the book goes on. " " Definitely extreme conspiracy theory, but I still enjoyed the book. 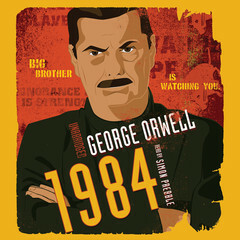 Sometimes you have to take a look at the extreme (think Orwell's 1984) to help you see where you are on the continuum. I'm probably on some watch list now that I've read this book. " " This book is a fun read and did keep my interest. This book being fiction was much easier to swallow then the last couple of his books I have read. " " I don't think I'm smart enough for this book (though I do think calling it a 'thriller' might be a stretch). " James Daniels is a labor organization attorney who performed Shakespeare in London, received a Grammy nomination for his audiobook narration, and wrote the hard-boiled noir mystery Ghost Bride. He and his family live in the Midwest.